The patented Medicus Dual Hinge on all Medicus Drivers gives you instant feedback when you are swinging incorrectly so you can identify the flaws in your swing. 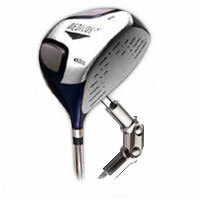 With the Medicus Driver you can eliminate slices and hooks and hit longer, more accurate shots time after time. 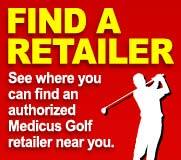 Plus to help you PUTT LIKE A PRO, the Medicus Dual-Handle Putter Trainer temporarily attaches to your own personal putter to train and improve your putting stroke with proper back and forth in the proper pendulum motion. And, we'll include the Drive Like a Pro Instructional DVD featuring Mark O'Meara and Medicus Inventor Bob Koch. Learn how to improve your swing plane and swing tempo. Develop a consistently effective and repeating swing. Also receive the Top Tips from Top Pros DVD starring PGA Tour Champions Mark O'Meara and Bruce Fleischer, together with Top Instructors Hank Haney - Coach to Tiger Woods - and Jack Lumpkin - Coach to Davis Love III. The Swing Like a Pro Drills DVD includes the most common faults and practice drills on how to correct them! Plus we'll rush you the Ten Minutes to Tremendous Power E-book, filled with lessons and golf specific exercises that will add power to your golf swing!